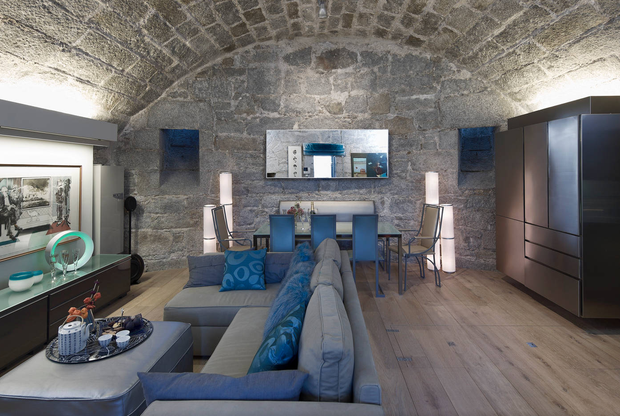 Room in a castle or self-catering pub, anyone? From a self-catering pub to a sparkling Martello tower, Airbnb throws up all sorts of surprising rentals in Ireland. Here are the best. Airbnb is an online community marketplace allowing guests book accommodation directly from hosts. Since its foundation in San Francisco in 2008, the company has grown to 190 countries... with some 10,000 hosts in Ireland. Here are seven weird and wonderful results from our searches. What is it? A self-catering pub. No, seriously. Tell me more: Conroy’s is fondly referred to as “the pub with no beer”. The self-catering accommodation sleeps up to four people in a converted village bar close to Terryglass on Lough Derg. 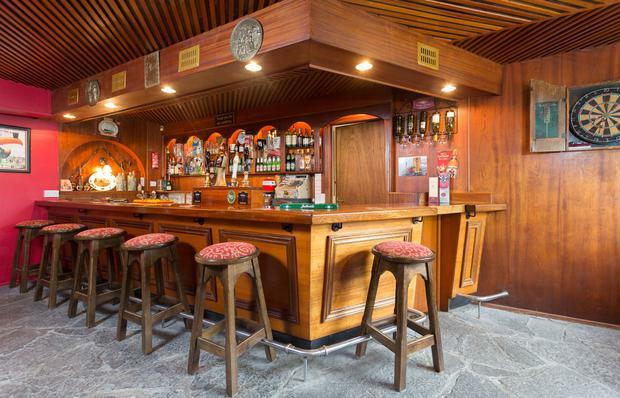 The bar no longer holds a liquor license, but retains its old charm and character in details ranging from a polished mahogany bar to an open turf fire. The room: A fully functioning kitchen has been fitted into the old boozer, and the lounge comes kitted out with all manner of pub games, books, maps and tourist information. The old snug next to the lounge is now a double bedroom with en-suite WC, and the former cellar/keg store houses a super king-sized bed. We love: Although the beer pumps no longer dispense, guests can BYO and enjoy the old beer garden and BBQ areas with views over the Tipperary countryside. We love: Conroy’s also offers a range of workshops in the stone buildings at the end of the garden. Spinning & weaving, dry stone walling and basket weaving are just three. Worth noting: Small doorways mean this property may not be wheelchair-friendly. What is it? 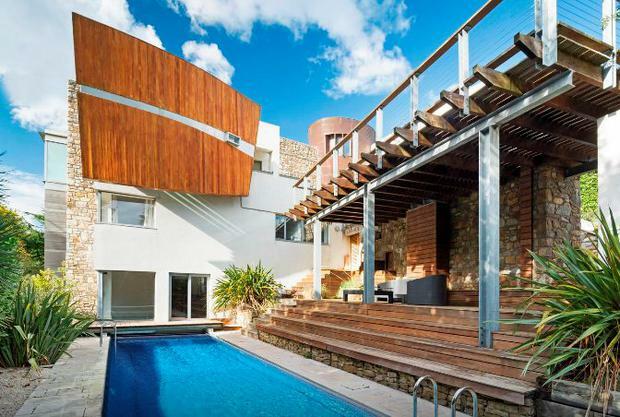 A five-bed, 5,000 pad with stunning sea views. Tell me more: Nestled off the Sorrento Road in Dalkey, this elegant pad is owned by former F1 driver, Eddie Irvine. "Your neighbours are Bono, Van Morrison and The Edge," the listing points out - but don't expect them to be borrowing sugar. The room: Five bedrooms sleep 10, with a pool and games area, sauna, jacuzzi and bar feature among the attractions for guests. We love: The celeb factor. What parties there must have been! Worth noting: There's a three-night minimum stay. What is it? A 200-year-old church. Tell me more: Bookeen Hall is a former Church of Ireland Chapel built in 1808. Boasting a rectangular hall with large Gothic windows and a solid bell-tower visible across fields and woodland, It was deconsecrated in 1920 and converted into a two-bedroom home in 2008. The room: A large, open-plan living /dining room and two bedrooms now occupy the interior, with the guest bedroom having access to its own bell tower/reading room. Views of the surrounding countryside are top-notch, and there’s a private bathroom with claw-foot tub. We love: Bookeen Hall is situated on the edge of Dunsandle wood which has some great walking and running routes. 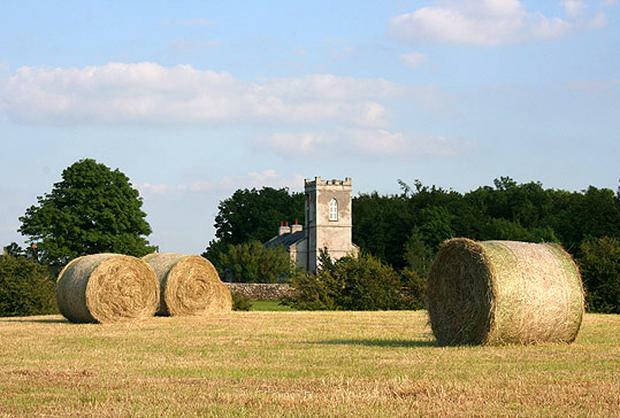 It’s also just two minutes from the M6, and 25km from Galway. The best of a town and country break beckons, in other words. Check in: airbnb.ie/rooms/1141237; from €100 per night. What is it? A coastal defence tower, dating from 1804. Tell me more: Some historic properties are fusty and cold. This one is kitted out to superb modern standards... judging from the stylish photos, at least. The coastal setting is the icing on the cake - you're spoiled for choice with restaurants in Dalkey. 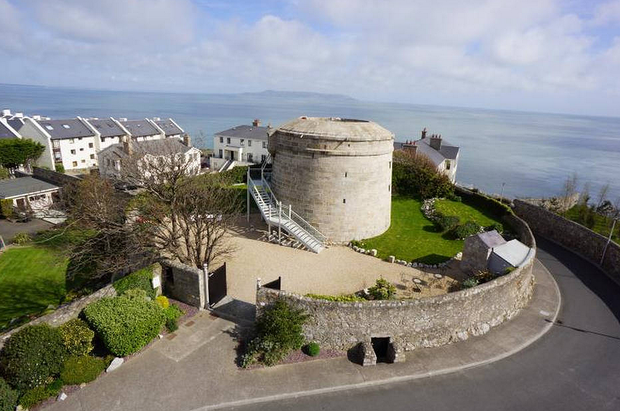 The room: The Martello Tower has one bedroom, and one "real bed", according to its listing. No fakes, then. We love: The photos are spectacular, with features including a decked, tower-top viewing area, slick stainless steel appliances, moody lighting, spiralling granite staircases and an in-room bathtub. Worth noting: The tower is suitable for two people; no children are allowed. Check in: airbnb.ie/rooms/4263088; from €450 per night. What is it? A cedar-clad four-bedroom house in West Mayo. 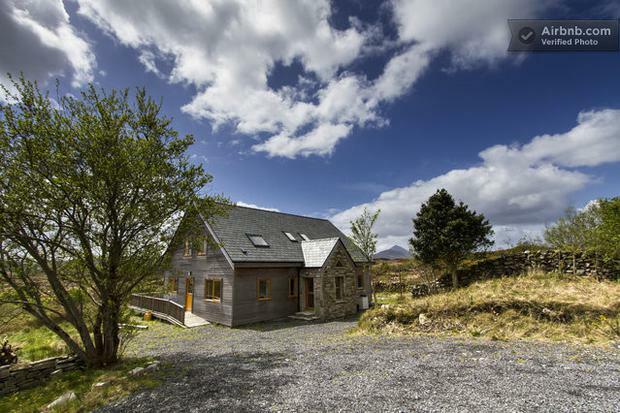 Tell me more: Boasting stunning views of Croagh Patrick and the Partry Hills, this bright and spacious eco-lodge is located close to Westport, Clew Bay and lots of sandy beaches. The rooms: The house has four bedrooms (there's also a travel cot and fold out single futon bed in the living room), along with a modern kitchen, dining area with wood-fired Rayburn stove, a cosy sitting room with fireplace, a library and two modern bathrooms. Highlights: There’s a large double bath in one of the bathrooms. Nab it! What is it? 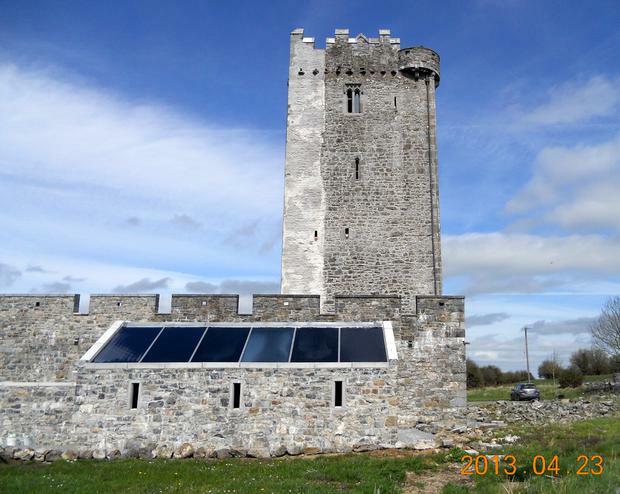 A 15th century fortified tower house in the wilds of Tipperary. Tell me more: Ballytarsna-Hackett Castle dates from 1480, when it was built for the Hackett family alongside an older 12th century castle. It fell to ruin in the 18th century, but has been lovingly restored, with the top floor now available to rent on a B&B basis through airbnb.ie. The room: The fifth floor offers spectacular views of the Tipperary countryside, including the Rock of Cashel. It's self-contained, with an ensuite bathroom, four-poster bed, small library, free-standing bath tub and 19th century armoire for your clothes. We love: The castle has its own dungeon (“this grim feature hopefully will not be needed,” the owners say). One occupant has carved the year '1536' into the wall. Check in: airbnb.ie/rooms/1140513; from €150 per night. What is it? 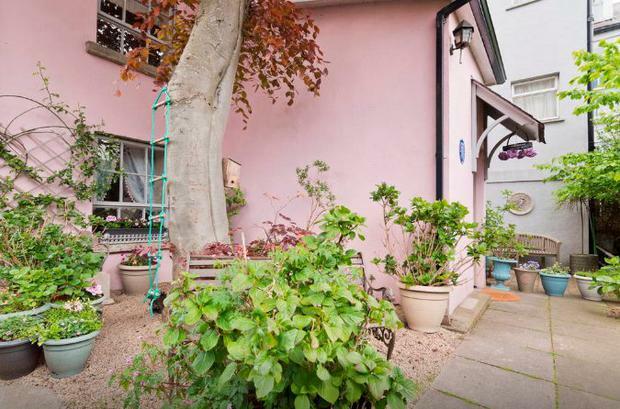 A private mews in Blackrock. Tell me more: The one-bed house, named 'Leoville', is where Joyce wrote his first published work - 'Et Tu Healy'. It's mentioned in both Dubliners and 'Portrait of the Artist as a Young Man', and also by Stanislaus Joyce in 'My Brothers Keeper'. The room: 'Leoville' sleeps two in one bedroom, with a study, sitting room, kitchen and bathroom rounding out the accommodation. The house also has a private entrance and garden, and is described as "early Victorian". We love: The decor. Beyond the pink paint and leafy garden lies a tastefully decorated hideaway full of literary portraits and little luxuries. Worth noting: The mews is not suitable for families with children. Check in: airbnb.ie/rooms/4480268; from €113 per night. NB: This article has been updated to reflect price and listing changes.